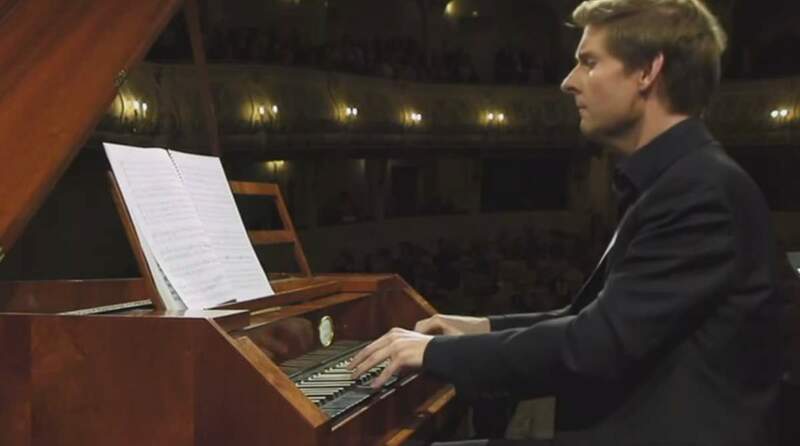 Accompanied by the Freiburger Barockorchester (Freiburg Baroque Orchestra), the Australian fortepiano player, harpsichordist and pianist of South African origin, Kristian Bezuidenhout performs Wolfgang Amadeus Mozart’s Piano Concerto No. 17 in G major, KV. 453. Conductor: Petra Müllejans. Recorded at the Schwetzingen Festival (German: Schwetzinger Festspiele, now Schwetzinger SWR Festspiele), an early summer festival of opera and other classical music presented each year from May to early June in Schwetzingen, Germany. 00:00 The overture of Der Schauspieldirektor, KV. 486, a comic singspiel by Wolfgang Amadeus Mozart, set to a German libretto by Gottlieb Stephanie. 35:37 Idomeneo, KV 366: Musique de ballet, an Italian language opera seria by Mozart. The piece was written in 1784. It is orchestrated for solo piano, flute, two oboes, two bassoons, two horns, and strings. As is typical with concertos, it is in three movements. According to the date that the composer himself noted on the score, the concerto was completed on April 12, 1784. The date of the premiere is uncertain. In one view, the work is said to have been premiered by Mozart’s student Barbara Ployer on June 13, 1784, at a concert to which Mozart had invited Giovanni Paisiello to hear both her and his new compositions, including also his recently written Quintet in E flat for Piano and Winds. 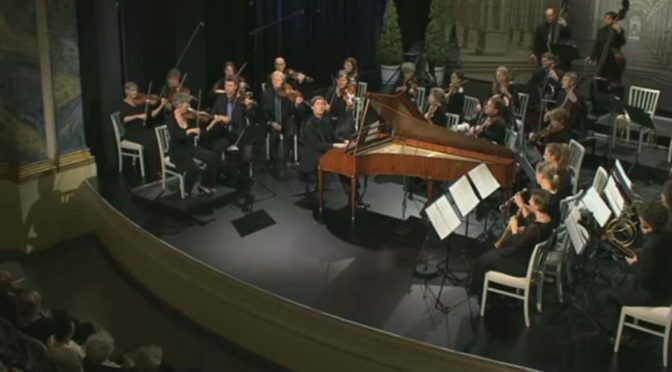 Afterwards, Ployer was joined by Mozart in a performance of the Sonata for Two Pianos, K. 448. Another possibility, advanced by Lorenz (2006, 314), is that Mozart did not wait over two months to premiere the work, but performed it in his concert with Regina Strinasacchi on 29 April 1784 at the Kärntnertortheater. As a general consensus for researchers, it can be said with relative certainty that the work premiered during the mid-to-late spring of 1784, following its completion. The finale is a variation movement whose theme was sung by Mozart’s starling: for about three years the composer Wolfgang Amadeus Mozart kept a pet starling. Mozart presumably taught the bird to sing this tune in the pet store, or wherever it was that he bought it. According to Mozart’s transcription, the starling incorrectly inserted a fermata on the last beat of the first full measure, and sang G-sharp instead of G in the following measure. Mozart probably was not joking when he made the transcription, because starlings are known to have a very strong capacity for vocal mimicry. The bird Mozart brought home lived as a pet in his household for three years and died on 4 June 1787. Mozart buried the creature in the back yard and wrote a commemorative poem for the occasion. Deutsch 1965 calls the poem “serio-comic”. However, West and King note, based on their extensive experience, that starling pets interact closely with their human keepers, often causing their owners to bond with them. Thus, Mozart’s expression of sorrow may have been quite sincere. A common starling (Sturnus vulgaris), also known as European starling. Bezuidenhout was born in South Africa in 1979. He began his studies in Australia, completed them at the Eastman School of Music and now lives in London. After initial studies as a modern pianist with Rebecca Penneys, he explored early keyboards, studying harpsichord with Arthur Haas, fortepiano with Malcolm Bilson and continuo playing and performance practice with Paul O’Dette. Since 2009, Bezuidenhout has embarked on a long-term recording relationship with Harmonia Mundi. Recent recordings include Volumes 1, 2 & 3 of the complete keyboard music of Mozart (prizes include Diapason D’or, a Caecilia Prize, and Preis der Deutschen Schallplattenkritik); Mendelssohn piano concertos with the Freiburg Baroque Orchestra and Schumann Dichterliebe with Mark Padmore (both won Edison Awards). His recording of Beethoven violin sonatas with Viktoria Mullova (ONYX label) won an Echo Award for the best chamber music album of 2011. A disc of Mozart Piano Concertos (K. 453 & 482) with the Freiburg Baroque Orchestra was released in November, 2012. A fortepiano is an early version of the piano, from its invention by the Italian instrument maker Bartolomeo Cristofori (May 4, 1655 – January 27, 1731) around 1700 up to the early 19th century. It was the instrument for which Haydn, Mozart, and the early Beethoven wrote their piano music. Starting in Beethoven’s time, the fortepiano began a period of steady evolution, culminating in the late 19th century with the modern grand. The earlier fortepiano became obsolete and was absent from the musical scene for many decades. In the 20th century the fortepiano was revived, following the rise of interest in historically informed performance. Fortepianos are built for this purpose today in specialist workshops.